Lightweight and durable, these brush and briar chaps are highly abrasion-resistant, repel water, and won’t rot or mildew. Constructed of heavy-duty Cordura® nylon with a 21″ zipper. An adjustable buckle attaches to belt. Chap closes from the knee down. 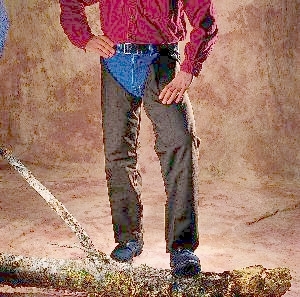 Brush Chaps do not protect from snake bites.